Now, more families can enjoy high-speed internet at home! 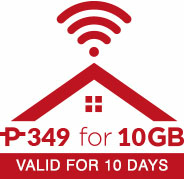 PLDT Home Prepaid WiFi is a wireless internet service powered by Smart LTE. 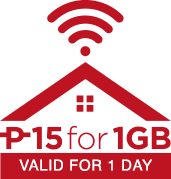 Get it now for a one-time fee of only P1,995 and enjoy loads as low as P15* for 1GB. 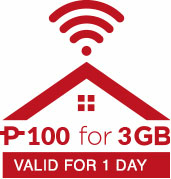 Get the latest promos from any PLDT Smart loading station to stay connected! Stay connected on social media and never miss a moment with your loved ones! Relax and unwind with the family while you enjoy non-stop watching and streaming. Learn something new with the kids online without worrying about running out of data. 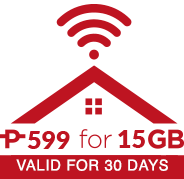 Promo runs from Aug 8, 2018 to July 31, 2019. Per DTI-FTEB Permit No. 14507 Series of 2018. Already have regular load? 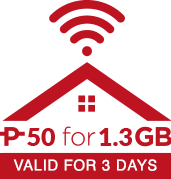 Click here to convert it to a Home Boost load! Link can be accessed only when you’re logged on to your Home WiFi network.